The news coming out of the Rap & Hip Hop world this week is clearly the ongoing feud between Drake and Pusha T. But, has this beef always been there? Let’s explore. The beef between Drake and Pusha T goes a lot deeper than these last few weeks. This longstanding feud can be dated all the way back to 2006, when Pusha T and his brother, No Malice, comprised the rap group Clipse. This goes back to the time when Drake was still a young rap apprentice under the legendary Lil Wayne. BAPE, a Japanese streetwear company, was popularized by Pusha T and No Malice during their time together. 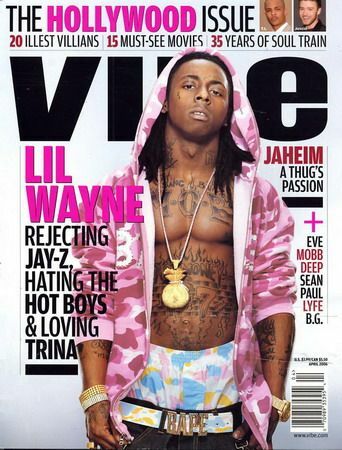 And after Lil Wayne appeared on the cover of Vibe Magazine in 2006 decked out in BAPE gear, the duo released “Mr. Me Too” which accused Tunechi of stealing their look. Lil Wayne responded by saying the only reason Clipse ever became hot was due to their feature on “What Happened to That Boy” by Baby; a Cash Money Records classic released in 2002. Fast forward 5 years, and the beef reaches new heights. In 2011, Drake released his sophomore album Take Care; an album that sold millions of copies, and made Drake a household name. Meanwhile, Pusha T decided to freestyle over a single off Take Care titled “Dreams Money Can Buy.” And although Pusha named no one in particular, fans speculated that a bar Pusha T dropped was insulting Drake’s ego. The following year, Pusha went after both Drake and Lil Wayne in “Exodus 23:1”. The beef did not reappear until 2016, when Drake was dealing with some new drama surrounding his alleged use of ghostwriters. Artists like Kid Cudi were involved in this new twitter beef, but Pusha T’s release of the “H.G.T.V. Freestyle” officially reignited the scrum between the two rappers. In the song, Pusha challenges Drake’s claim to being “the realest” by pointing out the irony of him potentially not using his own words. In response to Pusha’s bars about Drake not being as real as he claimed to be, the Toronto rapper dropped “Two Birds, One Stone.” Drake took it upon himself to diss both Cudi and Pusha T.
The song is chalked full of double entendres that criticize the current state of the USA and Drake’s use of ghostwriting. Drake did not take these insults lightly, and just like he did in his 2016 beef with Meek Mill, he took to the booth and dropped “Duppy Freestyle.” The song attacks not only Pusha T, but goes after the great Kanye West, who produced the entirety of “Daytona.” It’s clear that Drake has no fear in the studio. Drake admits to getting help on a few verses but states he’s supported Kanye West in ways he never thought he would have. If that wasn’t enough to try and silence Pusha T, Drake also sent an OVO invoice to GOOD Music, Kanye’s record label, for $100,000. The invoice was for promotion and career revival. 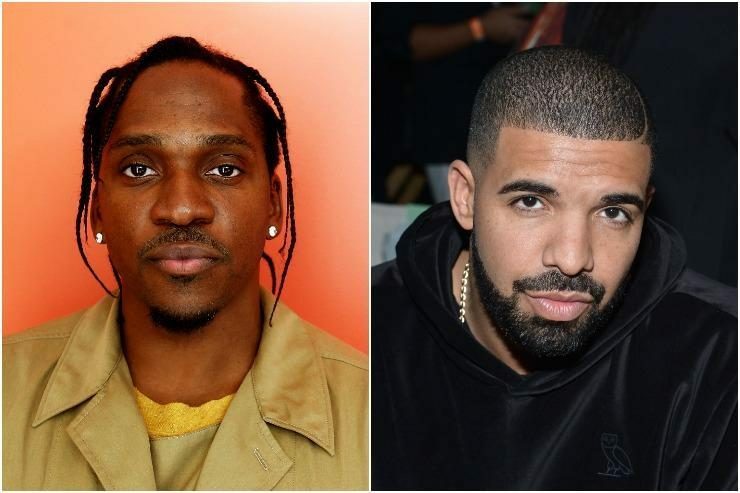 Once again, Pusha T clapped back after “Duppy Freestyle.” Dropping “The Story of Adidon” on Tuesday, and savagely ripping Drake for his lack of realness and for being an absentee father to his supposed son. According to Pusha T, “Adidon” is hinting at Drake’s new deal with Adidas, as well as his son’s name Adonnis. And that’s where we stand. Now that both artists have said their peace, we can only let the dust settle and pray for a little more. For now, stay tuned, because we seriously doubt this is it from either rapper.